Fully-redesigned for the 2019 model year, the RAM 1500 is better than ever! While it may be hard to believe that this incredibly popular model could have been improved, RAM defied the odds and pulled out all of the stops for this redesign. 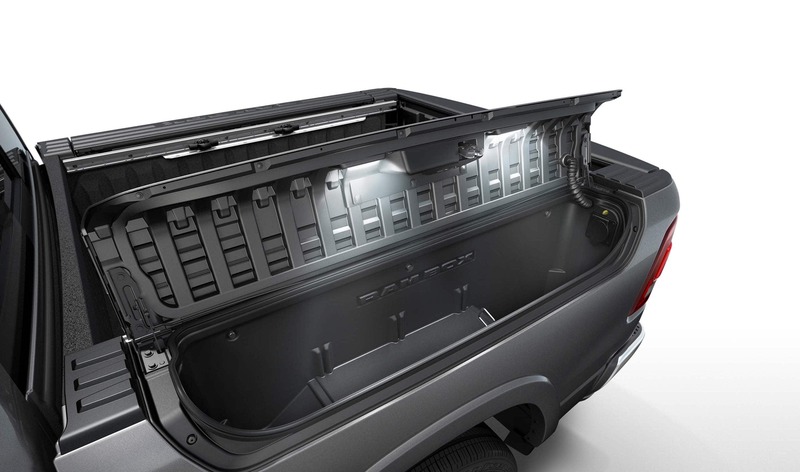 Weight reductions, improved powertrain options, increased overall space, and more in-vehicle tech than ever are among the many enhancements of the All-New RAM 1500. Read on to learn more about this redesigned model! What kind of power and handling can I expect from the 2019 RAM 1500? Two engines are offered to power the 2019 All-New 1500: a 3.6-liter Pentastar V6 and a 5.7-liter HEMI V8. The base V6 engine produces 305 horsepower and 269 pound-feet of torque, a 90 pound-ft increase from the previous generation of this engine. Moving up to the HEMI V8, this more powerful engine features variable valve timing and three-way catalytic converters. The V8 produces 395 horsepower and 410 pound-feet of torque. With the V8 engine, the All-New 1500 has a max payload of 2,300 pounds and a best-in-class towing capacity of 12,750 pounds! Combine that with the model's available class-exclusive Active-Level Four-Corner Air Suspension System with automatic load leveling, and you've got a capacity for towing that truly can't be matched by any other light-duty pickup on the market. 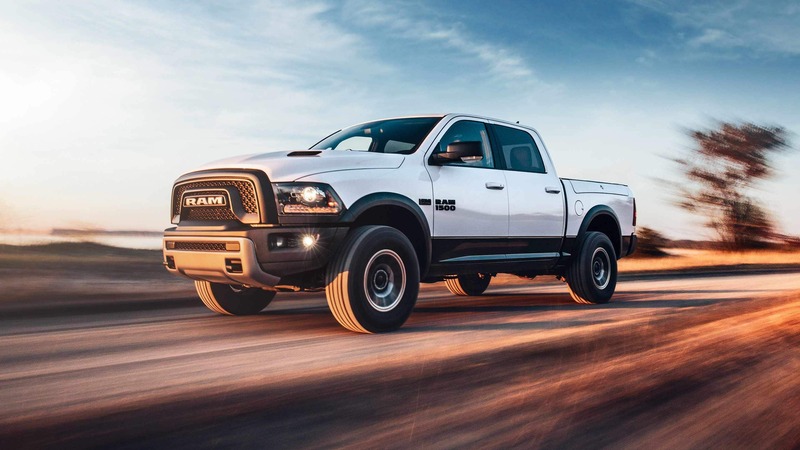 The redesigned RAM 1500 also has improvements in efficiency, including increased aerodynamics that gives the model a best-in-class frontal drag coefficient. What trim levels and features are available for the 2019 RAM 1500? This year, the redesigned RAM 1500 is offered in six trim levels: The Tradesman, Bighorn, Rebel, Laramie, Laramie Longhorn, and Limited. With unique exterior designs, tons of standard and available features, and configurations built for work, play, luxury, or a mix of the three, there are more options than ever to personalize your 1500. Some of our favorite standard and available features offered this year are a massive 12-inch Uconnect touchscreen interface (also available in the smaller 8.4-inch model), Apple CarPlay and Android Auto, a 360-degree Surround View Camera, an LED Adaptive Front-lighting System, a redesigned center console with 12 possible configurations for storage and organization, expandable under-seat storage, and several unique grille designs for different trims. 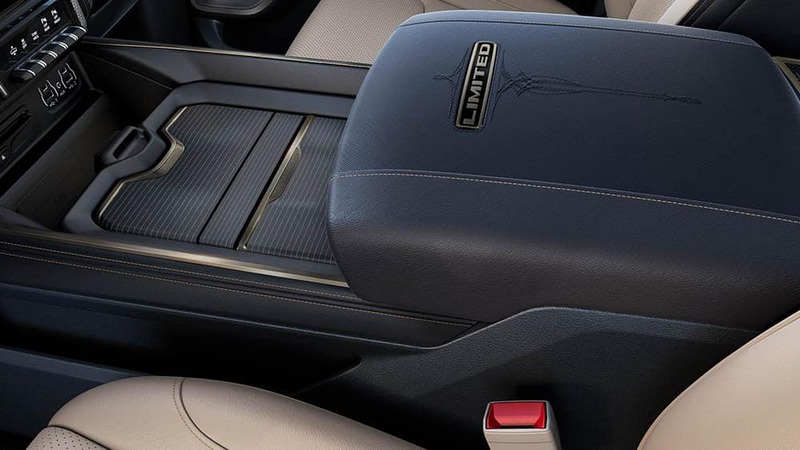 A 19-speaker Harman Kardon premium sound system also stands out among available features, as well as available leather seating that features 58% more leather than competitors. 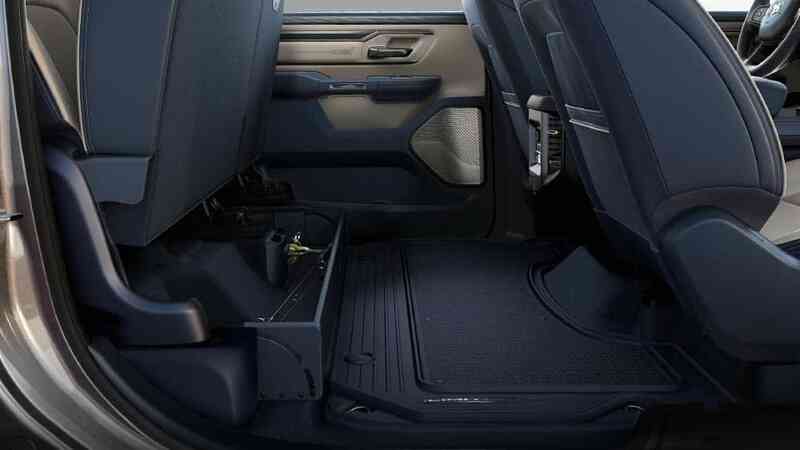 What safety and security features are available for the 2019 RAM 1500? With more than 100 standard and available safety features, the redesigned 1500 puts the security of you and your passengers first. A frame constructed with 98% high-strength steel and 14.9-inch brakes (the largest in the class) form the foundation of the 1500's safety lineup. Other safety features include a suite of six airbags, Blind-spot Monitoring with Rear Cross Path Detection, Trailer Detection, a rearview camera, a 360-degree Surround View Camera, Adaptive Cruise Control with Stop and Go, and Parallel and Perpendicular Parking Assistance. Forward Collision Warning and Ready Alert Braking are also available. 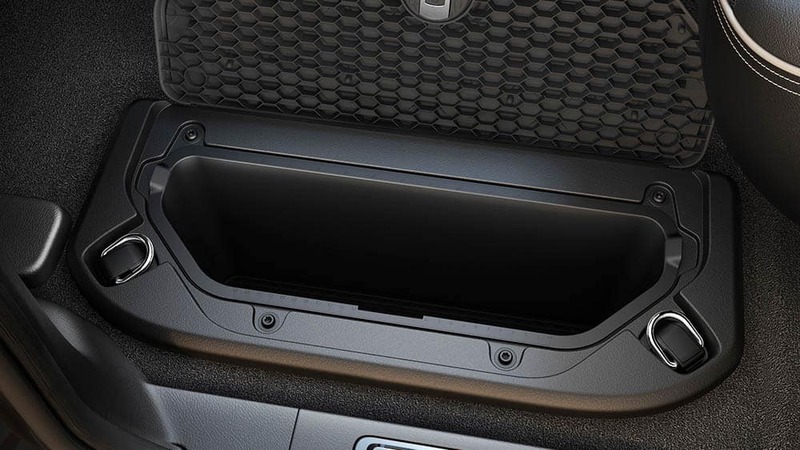 If your favorite safety and security features aren't offered on the trim you chose, you may be able to add them on through available feature packages. Now that the RAM 1500 is fully redesigned and better than ever, there's no excuse to put off investing in a new light-duty pickup. Powerful, comfortable, and stylish, this redesigned model really does have it all! 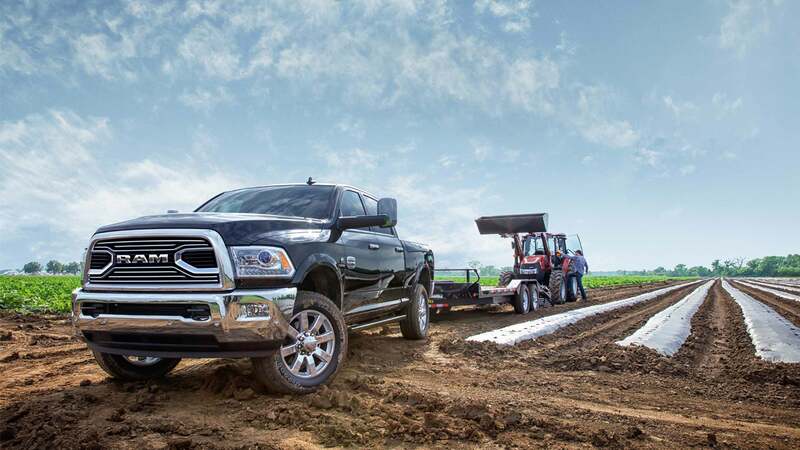 Come down to our lot today and check out our inventory of the 2019 RAM All-New 1500, and see for yourself why this might just be the perfect vehicle for you.